This eyeshadow palette was originally released in the summer, and of course sold out immediately. When I first saw it, I thought it was beautiful. But I thought to myself that I didn't really need it because I never reach for reds/berries when it comes to my eye looks. 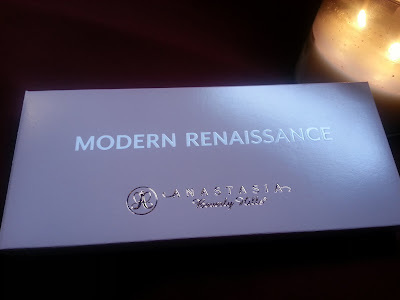 But then the reviews and swatches, and eye looks kept coming in, and my mind was slowly changing. Of course, each time the palette was restocked, it sold out immediately. This lead to months of seeing even more reviews and looks, and each time, I wanted it more. 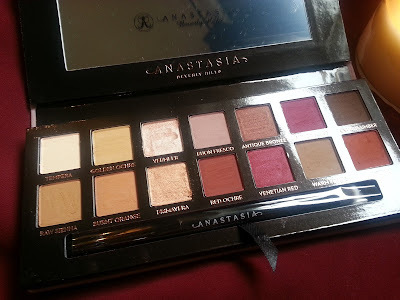 Anyone who had it (mostly on YouTube and Instagram) would take pictures of it, and they hit pan already! That's so impressive, it has to be a highly loved palette if people are making huge dips, and hitting pan in less than 6 month! It also has great reviews on Sephora. 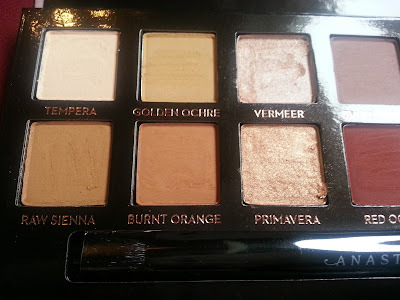 When it restocked this week on the Sephora website, I managed to snag one right away. It looks as if it is still available to order. 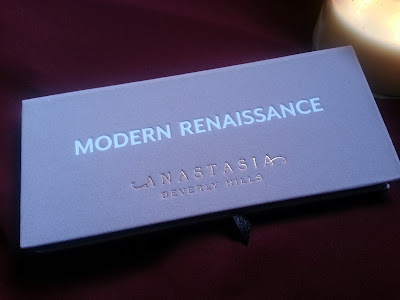 At this point, we all know what the Modern Renaissance palette looks like! 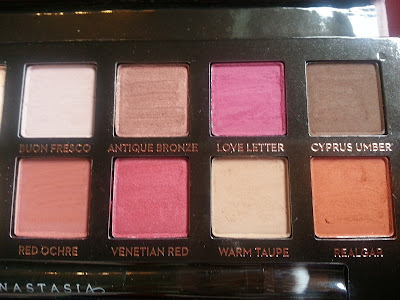 The palette itself has a somewhat velvet texture. I've seen a lot of people complaining that it very easily gets dirty.. so I'm a little worried about that. But it feels nice, and is different from what other companies are doing with their palettes. 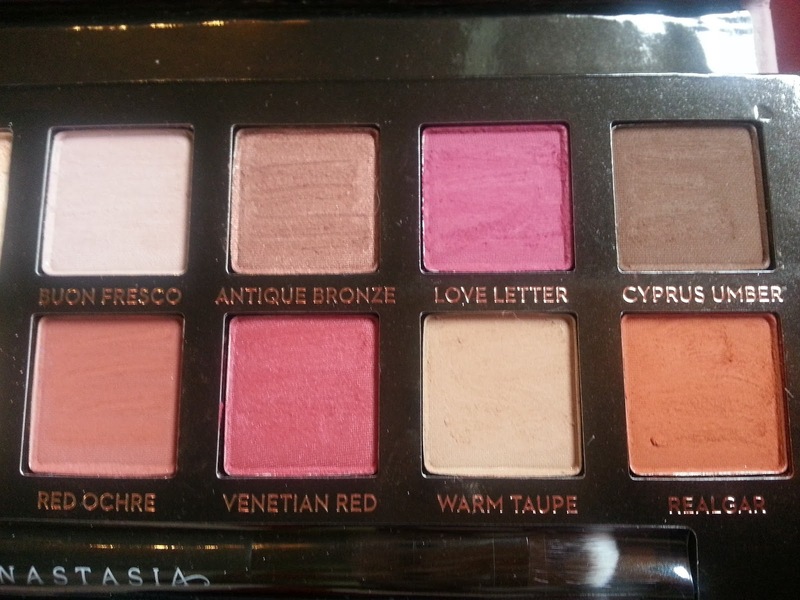 What I immediately think when I first see this palette, are that the berry tones are beautiful! I can tell that you can create a soft daily look, and then amp it up in the night time. The shades that immediately jump out at me are venetian red, love letter, buon fresco and vermeer. I can't wait to play around with it a little more! I ordered it February 9th, and it was marked as processed, and shipped the same night. I received it the next day, February 10th. I live close to (I'm guessing one of..) the packing warehouse, so even before I hit rouge, I would get my packages within 1-2 business days.. depending on how busy they are, of course. 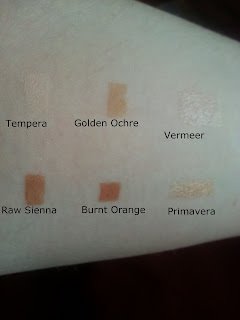 After seeing these swatched, I can say that I love that there is a mixture of both matte and shimmer eyeshadows. This makes it easier to shadow your crease, without using a shimmery shade. I love that you can create a muted look with the shades on the left, and then you can kick it up a bit with the shadows on the right. I will say there was a little bit of kickback from the shadows, but it's not as bad as some other palettes I have used, like the Tartelette Tease for example. These are all highly pigmented, and can be blended easily. 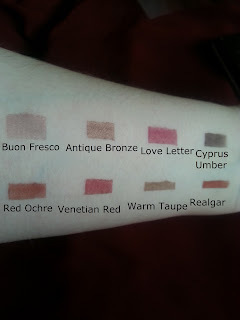 I can't wait to play with buon fresco, vermeer, primavera, and try both love letter and venetian red! As of this post (February 11, 2017) Modern Renaissance is available to order off of the Sephora website. If you plan on ordering this, don't forget to use ebates! You get cash back! When I placed my order, it was 8% cash back at the time!